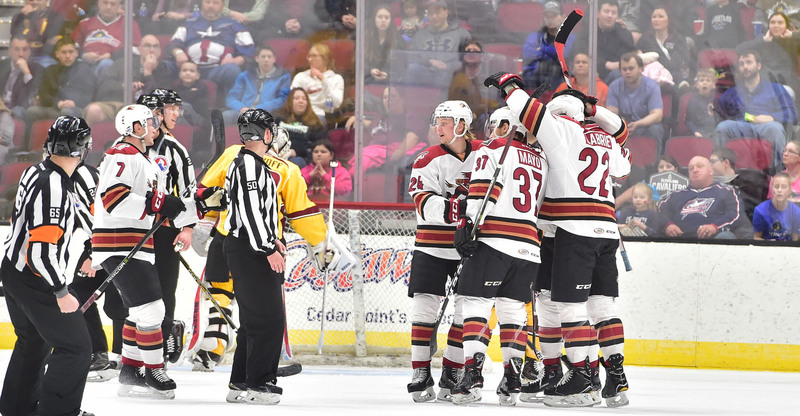 Last week, the Roadrunners made a splash at the trade deadline, and it was apparent a wholesome and dedicated approach toward the playoffs was a priority. Among those acquired were a team’s leading scorer in Carter Camper, a puck-moving defenseman in Trevor Murphy, and a versatile, depth-feeding forward in Pierre-Cedric Labrie, who won a Calder Cup in 2012. It may seem ironic to say for a team that's occupied first place in its division for the majority of the season, but all intentions in the moves made were for improvement - and the effects were immediate. The three aforementioned addiitions made their team debuts during the recent road trip, and were swift in finding the score sheet. 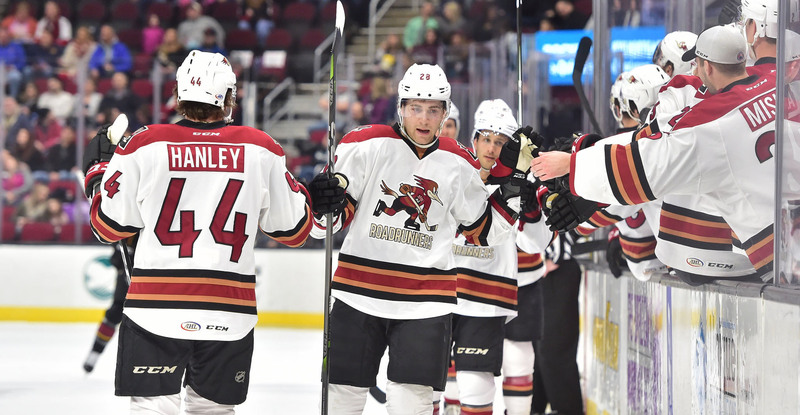 Camper, through the results of a historic performance, chimed in with five assists, Murphy notched a goal and an assist, and Labrie scored his first in a Roadrunners uniform Sunday afternoon. 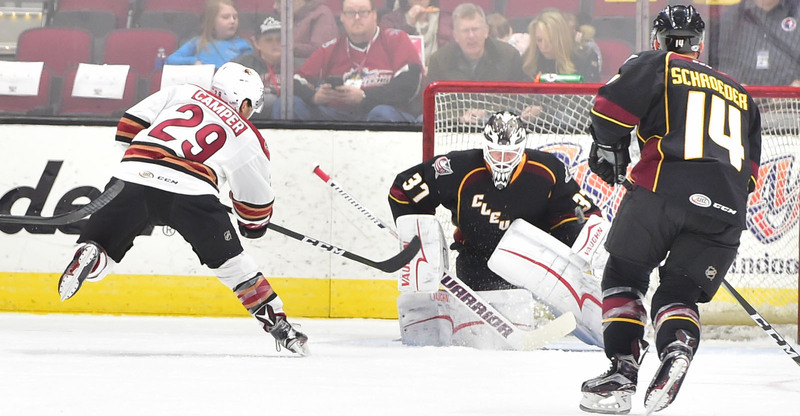 After setting a franchise and personal record in his first game with the Roadrunners against his former team, Carter Camper has reflected as the adrenaline has subsided, now in Tucson for the first time with the team ahead of this weekend’s series against the Texas Stars. The Roadrunners’ quick, aggressive style stood out to Trevor Murphy, who was brought to Tucson to bring an extra dash of offensive puck-moving flair to the team’s blue-line. 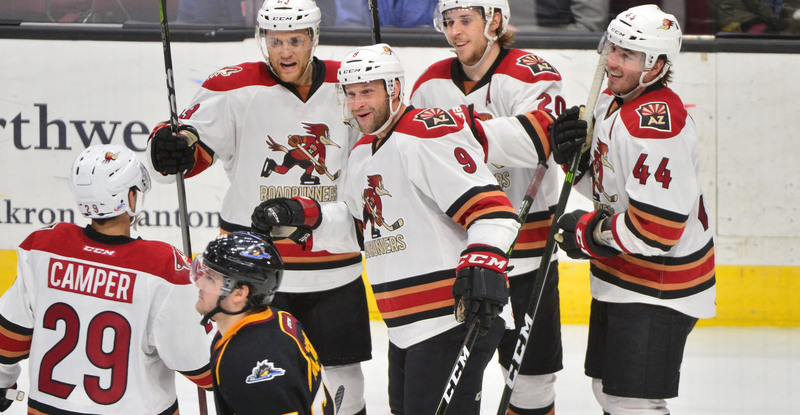 The players’ transition to Tucson comes with the thrill of joining a first-place team with the hopes and outlook of a promising performance come the postseason. Camper, having been a part of four postseason appearances during his eight-year AHL career, including a trip to the Calder Cup Final with the Hershey Bears in 2016, is no stranger to what it takes to get to, and what it takes to play in the playoffs. Most of the Roadrunners’ youth, such as rookie Dylan Strome, is without playoff experience at the professional level. He, like many others, is aware of the value added at the trade deadline. All intentions here are for a serious push. All impressions here are good. All of that will, again, be tested this weekend in a two-game set with the Texas Stars, a potential first-round playoff opponent.